Raise your flags and celebrate our country's freedom! 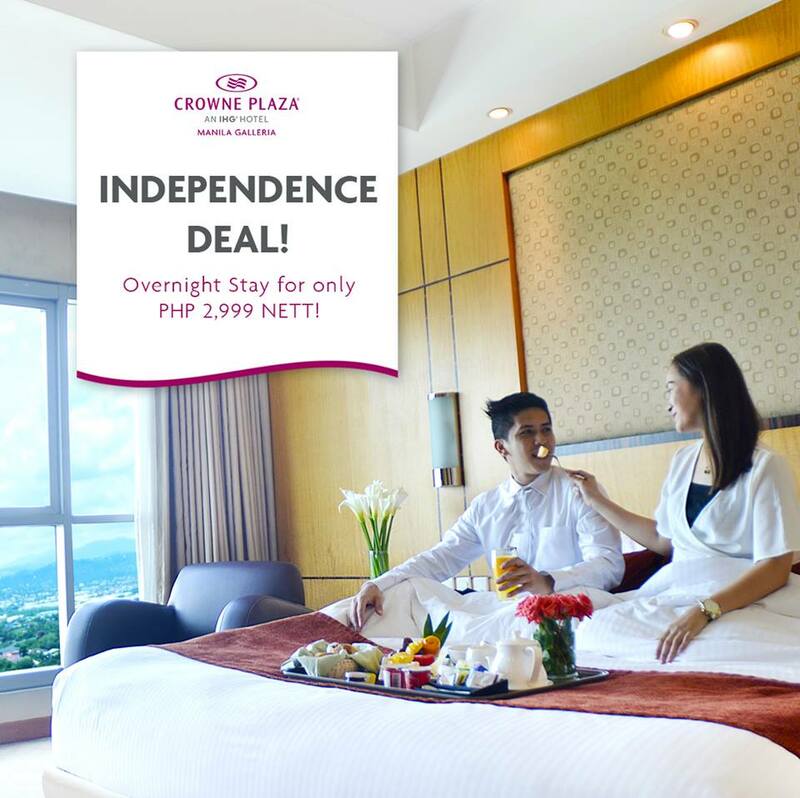 Book an overnight stay at a Crowne Plaza's Deluxe Room with internet access on June 11-12, 2018 and avail of an Independence Deal for only P2,999 nett! Plus...Get 50% off on Buffet Breakfast at Seven Corners Restaurant (max of 3 pax per room). HURRY! Booking period is on June 11-12, 2018 only. Stay period is from June 16 to August 31, 2018. For inquiries, call 633-7222 or email cpgmsale2018@gmail.com. Terms and conditions apply. 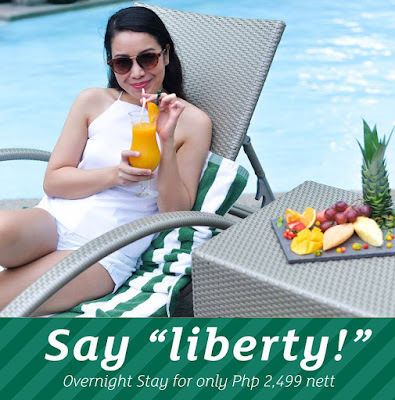 Book an overnight stay in a Holiday Inn Manila Galleria's Deluxe Room with internet access on June 11 & 12 and avail of an Independence Deal for only P2,499 nett! Plus...Get 50% off on Buffet Breakfast at Fab Restaurant (max of 3 pax per room). HURRY! Booking period is on June 11-12, 2018 only. Stay period is from June 16 to August 31, 2018. For inquiries, call 633-7222 or email higmsale2018@gmail.com. Terms and conditions apply.